The comedic geniuses, Laurel and Hardy show us what happens when aggression and revenge are channeled through slapstick and 3,000 custard pies. If only all our human conflicts could be resolved through a good custard pie fight. More importantly, the missing second reel of their 1927 silent movie, The Battle of the Century, has been found. So, we may finally know the climax of the Stan and Ollie cult classic — and see more pie-throwing in the process. Yum. Video: Clip from Laurel and Hardy’s silent film The Battle of the Century (1927). A small proportion of classic movies remain in circulation and in our memories. Most are quickly forgotten. And some simply go missing. How could an old movie go missing? Well, it’s not very difficult: a temperamental, perfectionist director may demand the original be buried; or a fickle movie studio may wish to hide and remove all traces of last season’s flop; or some old reels, cast in nitrates, may just burn, literally. But, every once in a while an old movie is found in a dusty attic or damp basement. Or as is the case of a more recent find — film reels in a dumpster (if you’re a Brit, that’s a “skip”). Two recent discoveries shed more light on the developing comedic talent of Peter Sellers. In the mid-1950s, Peter Sellers was young and ambitious and still largely unseen. He wanted to break out of his radio ghetto and achieve big-screen success, so he played a bumbling crook in The Ladykillers and a bumbling everyman in a series of comedy shorts for an independent production company called Park Lane Films. The Ladykillers endured and is cherished to this day. The shorts came and then went and were quickly forgotten. To all intents and purposes, they never existed at all. I’m fascinated by the idea of the films that get lost; that vast, teeming netherworld where the obscure and the unloved rub shoulders, in the dark, with the misplaced and the mythic. Martin Scorsese’s Film Foundation estimates that as many as 50% of the American movies made before 1950 are now gone for good, while the British film archive is similarly holed like Swiss cheese. Somewhere out there, languishing in limbo, are missing pictures from directors including Orson Welles, Michael Powell and Alfred Hitchcock. Most of these orphans will surely never be found. Yet sometimes, against the odds, one will abruptly surface. In his duties as facilities manager at an office block in central London, Robert Farrow would occasionally visit the basement area where the janitors parked their mops, brooms and vacuum cleaners. Nestled amid this equipment was a stack of 21 canisters, which Farrow assumed contained polishing pads for the cleaning machines. Years later, during an office refurbishment, Farrow saw that these canisters had been removed from the basement and dumped outside in a skip. “You don’t expect to find anything valuable in a skip,” Farrow says ruefully. But inside the canisters he found the lost Sellers shorts. It’s a blustery spring day when we gather at a converted water works in Southend-on-Sea to meet the movie orphans. Happily the comedies – Dearth of a Salesman and Insomnia is Good For You – have been brushed up in readiness. They have been treated to a spick-and-span Telecine scan and look none the worse for their years in the basement. Each will now premiere (or perhaps re-premiere) at the Southend film festival, nestled amid the screenings of The Great Beauty and Wadjda and a retrospective showing of Sellers’ 1969 fantasy The Magic Christian. In the meantime, festival director Paul Cotgrove has hailed their reappearance as the equivalent of “finding the Dead Sea Scrolls”. To the untrained eye, he looks to be adapting rather well. Dearth of a Salesman and Insomnia is Good For You both run 29 minutes and come framed as spoof information broadcasts, installing Sellers in the role of lowly Herbert Dimwitty. 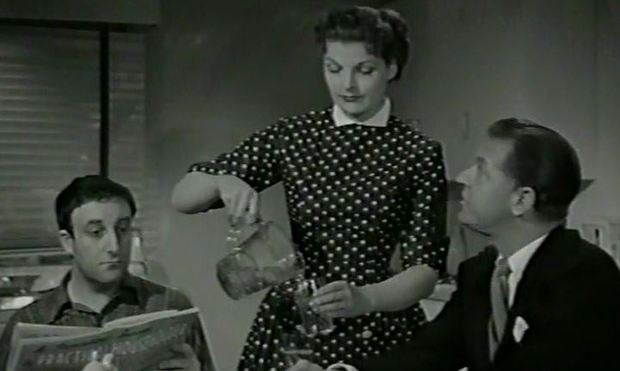 In the first, Dimwitty attempts to strike out as a go-getting entrepreneur, peddling print dresses and dishwashers and regaling his clients with a range of funny accents. “I’m known as the Peter Ustinov of East Acton,” he informs a harried suburban housewife. Dearth, it must be said, feels a little faded and cosy; its line in comedy too thinly spread. But Insomnia is terrific. Full of spark, bite and invention, the film chivvies Sellers’s sleep-deprived employee through a “good night’s wake”, thrilling to the “tone poem” of nocturnal noises from the street outside and replaying awkward moments from the office until they bloom into full-on waking nightmares. Who cares if Dimwitty is little more than a low-rent archetype, the kind of bumbling sitcom staple that has been embodied by everyone from Tony Hancock to Terry Scott? Sellers keeps the man supple and spiky. It’s a role the actor would later reprise, with a few variations, in the 1962 Kingsley Amis adaptation Only Two Can Play. As it is, the Sellers shorts can be safely filed away among other reclaimed items, plucked out of a skip and brought in from the cold. They take their place alongside such works as Carl Dreyer’s silent-screen classic The Passion of Joan of Arc, which turned up (unaccountably) at a Norwegian psychiatric hospital, or the vital lost footage from Fritz Lang’s Metropolis, found in Buenos Aires back in 2008. But these happy few are just the tip of the iceberg. Thousands of movies have simply vanished from view. Image: Still from newly discovered movie Dearth of a Salesman, featuring a young Peter Sellers. Courtesy of Southend Film Festival / Guardian. The official start of summer in the northern hemisphere is just over a week away. So, it’s time to gather together some juicy reads for lazy days by the beach or under a sturdy shade tree. 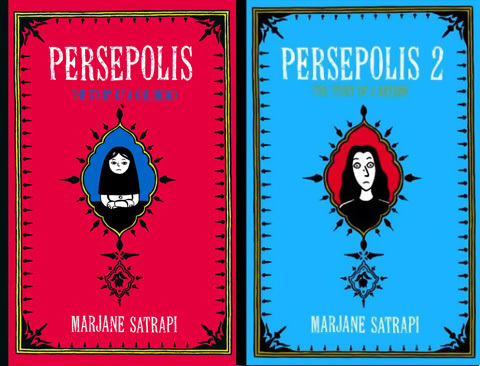 Flavorwire offers a classic list of 30 reads with a couple of surprises thrown in. And, we’ll qualify Flavorwire’s selection by adding that anyone over 30 should read these works as well. Earlier this week, we stumbled across a list over at Divine Caroline of thirty books everyone should read before they’re thirty. While we totally agreed with some of the picks, we thought there were some essential reads missing, so we decided to put together a list of our own. We stuck to fiction for simplicity’s sake, and chose the books below on a variety of criteria, selecting enduring classics that have been informing new literature since their first printing, stories that speak specifically or most powerfully to younger readers, and books we simply couldn’t imagine reaching thirty without having read. Of course, we hope that you read more than thirty books by the time you hit your fourth decade, so this list is incomplete — but we had to stop somewhere. Click through to read the books we think everyone should read before their thirtieth birthday, and let us know which ones you would add in the comments. Eugenides’s family epic of love, belonging and otherness is a must read for anyone who has ever had a family or felt like an outcast. So that’s pretty much everyone, we’d wager. Clowes writes some of the most essentially realistic teenagers we’ve ever come across, which is important when you are (or have ever been) a realistic teenager yourself. Kerouac’s famous scroll must be read when it’s still likely to inspire exploration. Plus, then you’ll have ample time to develop your scorn towards it. A seminal work in both African American and women’s literature — not to mention a riveting, electrifying and deeply moving read. Vonnegut’s hilarious, satirical fourth novel that earned him a Master’s in anthropology from the University of Chicago. Think of him what you will, but everyone should read at least one Hemingway novel. In our experience, this one gets better the more you think about it, so we recommend reading it as early as possible. The modern classic of post-apocalyptic novels, it’s also one of the best in a genre that’s only going to keep on exploding. A more perfect and affecting Holocaust book has never been written. And this one has pictures. One of the best science fiction novels of all time, recommended even for staunch realists. Serious, complicated and impossible to put down. Plus, Card’s masterpiece trusts in the power of children, something we all need to be reminded of once in a while. Ever picked up a copy of the Illiad or War and Peace or Foucault’s Pendulum or Finnegan’s Wake leafed through the first five pages and given up? Well, you may be in good company. So, here are some useful tips for the readers, and non-readers alike, on how to get through some notable classics that demand our fullest attention and faculties. I’m determined to finish “The Iliad” before I start anything else, but I’ve been having trouble picking it up amid all the seasonal distractions and therefore I’m not reading anything at all: It’s blocking other books. Suggestions? When I decided to read “War and Peace” a few years ago, I worried about exactly this problem: a challenging book slowing me down so much that I simply stopped reading anything at all. My solution, which worked, was to assign myself a certain number of pages—in this case, 100—each day, after which I was free to read anything else. One hundred pages a day may seem like a lot, but I had time on my hands, and (of course) “War and Peace” turned out to be anything but laborious. Still, there was a psychological comfort in knowing that if I wasn’t enjoying it, I wasn’t in a reading straitjacket. With a book like “The Iliad,” which is far more demanding than “War and Peace,” I’d say one or two pages a day would be a perfectly respectable goal. You could see that time as a period of meditation or prayer—an excuse to be alone, quiet and contemplative. 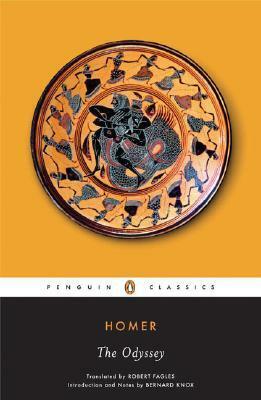 You could also alternate reading “The Iliad” with listening to someone else read it. There’s no rule that says you can’t mix media on a single book, especially when it’s poetry, and the divine Alfred Molina reads Stephen Mitchell’s new translation of Homer’s classic. 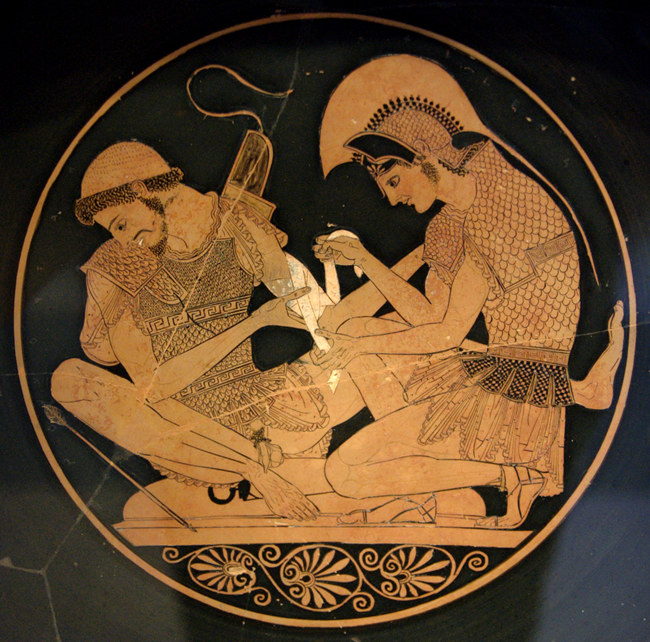 Reading a work like “The Iliad” shouldn’t feel like punishment or homework. If it does, then read a sentence a day with the patience of Penelope.